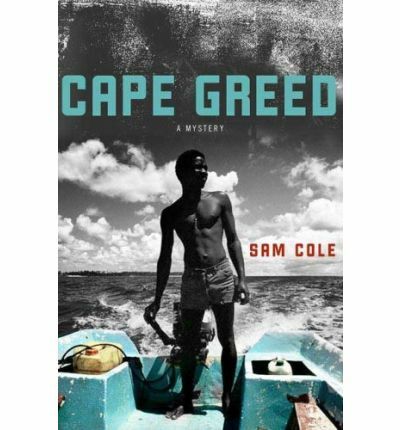 Cape Greed, published pseudonymously by South African collaborators Mike Nicol and Joanne Hichens, is a hard-boiled detective novel in the tradition of Deon Meyer's early Cape Town novels, translated from the Afrikaans as Dead Before Dying and Dead Before Daybreak, before Meyer moved on to writing thrillers and into modern mythmaking. The detectives of Cape Greed are Mullet, nicknamed after his retro haircut, and Vincent, both ex-cops and neither a terribly appealing character at first. Vincent is closer to Deon Meyer's cops and ex-cops: he's a drunk who's mourning for the death of his wife in a traffic accident that may have been a murder. Mullet, who left the police for less dramatic reasons, has an ex-junkie, one-legged girlfriend, Rae-Anne, who wants to move in with him--but Mullet is a commitment-phobe. Mullet talked Vincent into joining him in a private detective agency that is muddling along with divorce work until each is hired by one of two women for cases that seem separate but are joined in the murky world of abalone smugglers and Chinese triads. One of the women wants Mullet to follow her husband and the other wants Vincent to stake out an abalone farm along the Cape's west coast, but we also follow the exploits of Tommy, the abalone poacher who may have killed Vincent's wife in revenge for Vincent putting him in jail years before. (Abalone is in short supply but in big demand among Chinese men, for the same reason as Rhino horn and with similar ecologically disastrous results.) If it all sounds complicated, it's actually a tightly woven narrative whose several strands that are intertwined with the diverse racial and political strands of contemporary Cape Town and move forward quickly and inexorably toward confrontations that manage to avoid the usual cliches. The reader ends up sympathizing with the two sad-sack detectives, and I hope Nicol and Hichens keep up the collaboration: Sam Cole is a writer worth following, even if he's a fiction himself.